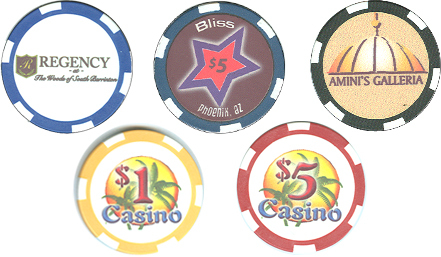 Our custom printed poker chips can be printed with design you choose in full color. Each chip is made of 100% ceramic and weighs 12.5 grams. Custom sets and packaging are available in quantities of 100 poker chips or more. It's easy to have your custom corporate gifts. Simply call 1-800-233-0828, and submit your camera-ready artwork to (you can also mail or fax your art). For a FREE Catalog or more information on Custom-Imprinted Promotional Products, please contact us at 1-800-233-0828. © 2019 Kardwell International, Inc. The contents of this web site are the sole property of Kardwell International.